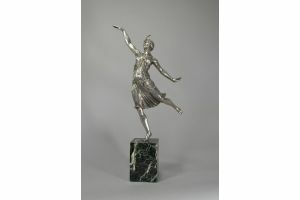 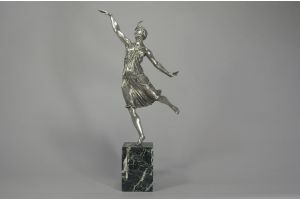 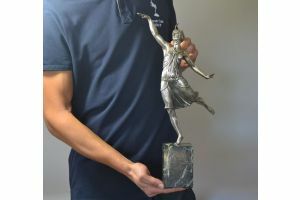 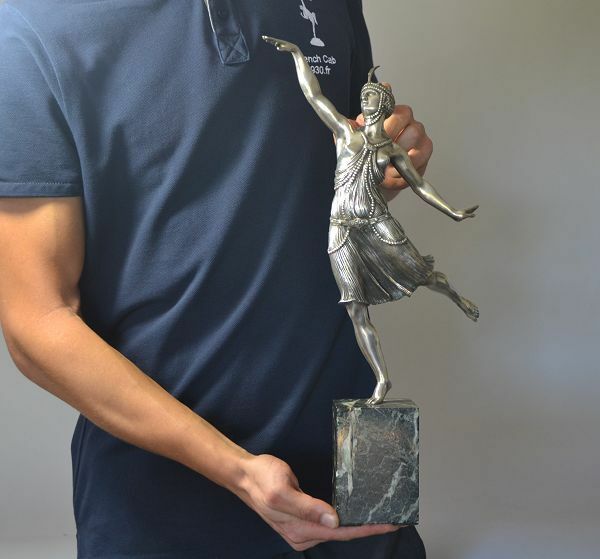 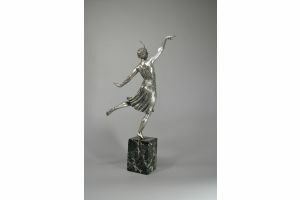 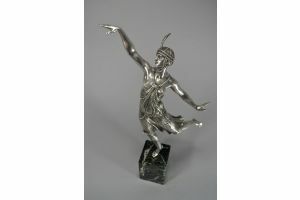 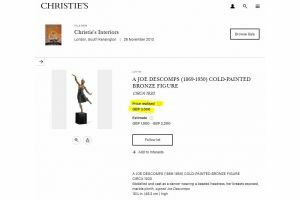 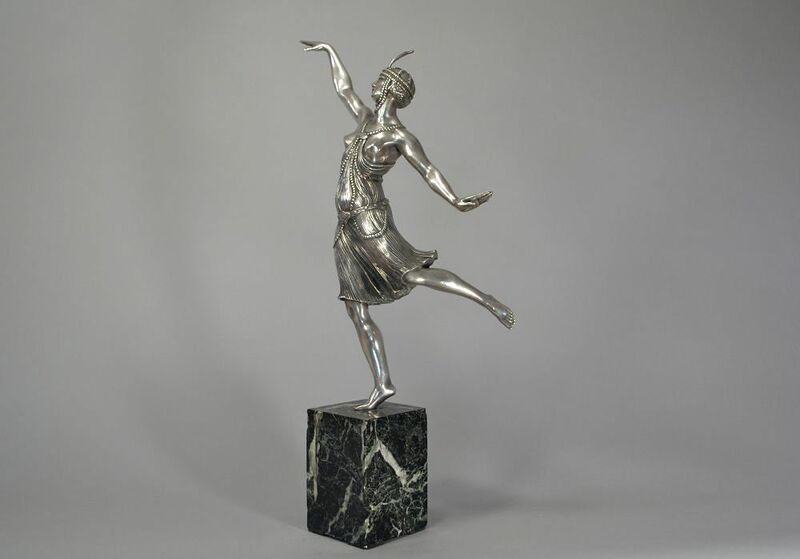 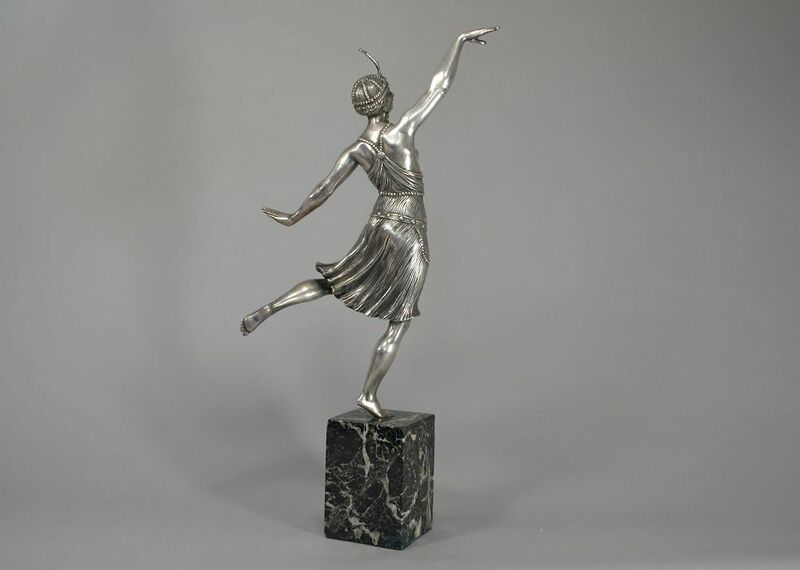 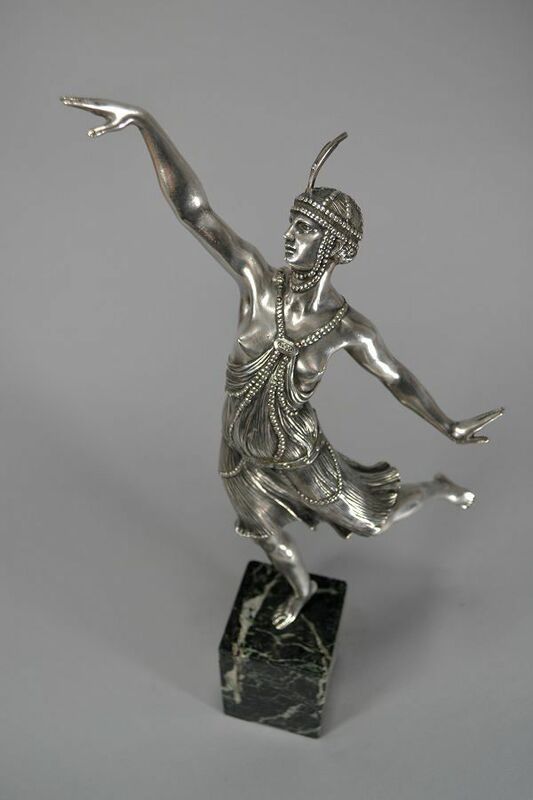 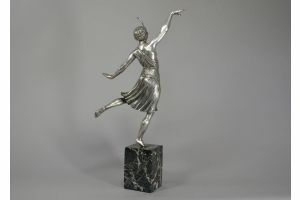 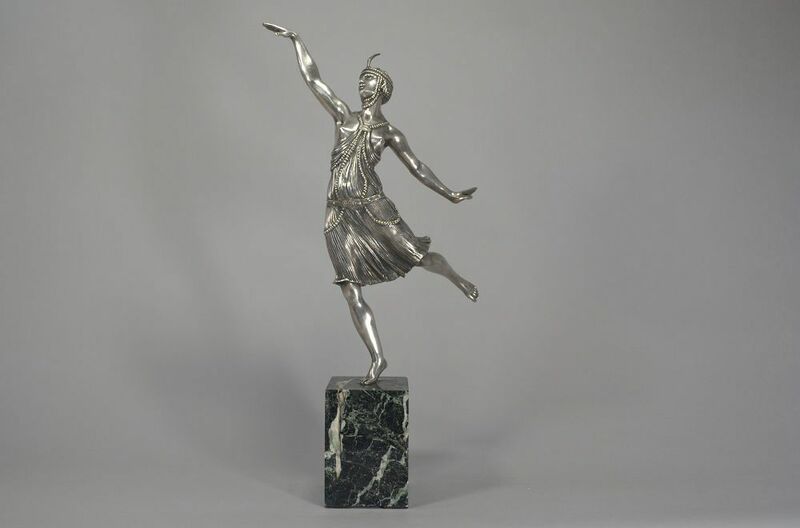 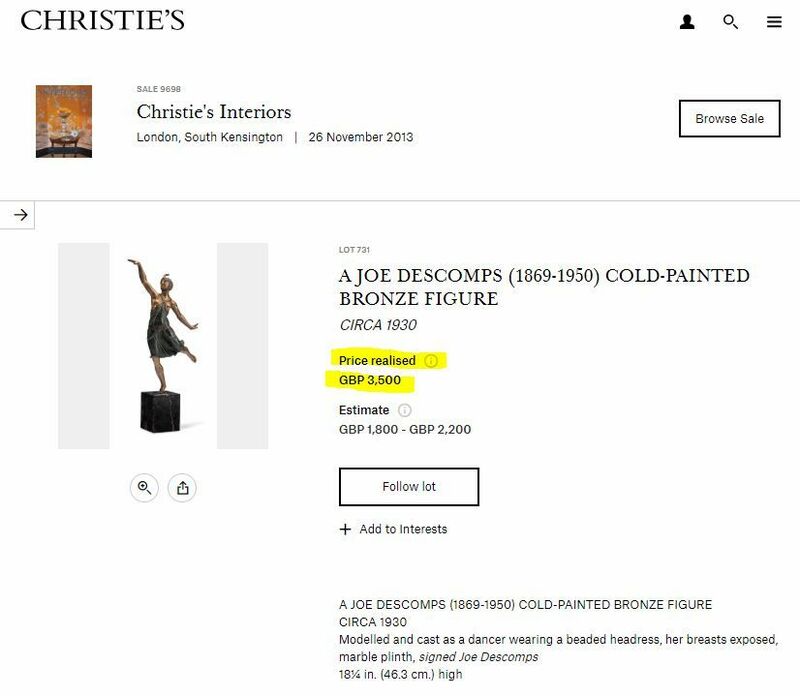 A rare Joe Descomps (1869-1950) silver plated bronze figure on marble base. 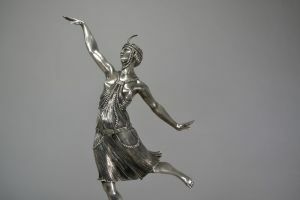 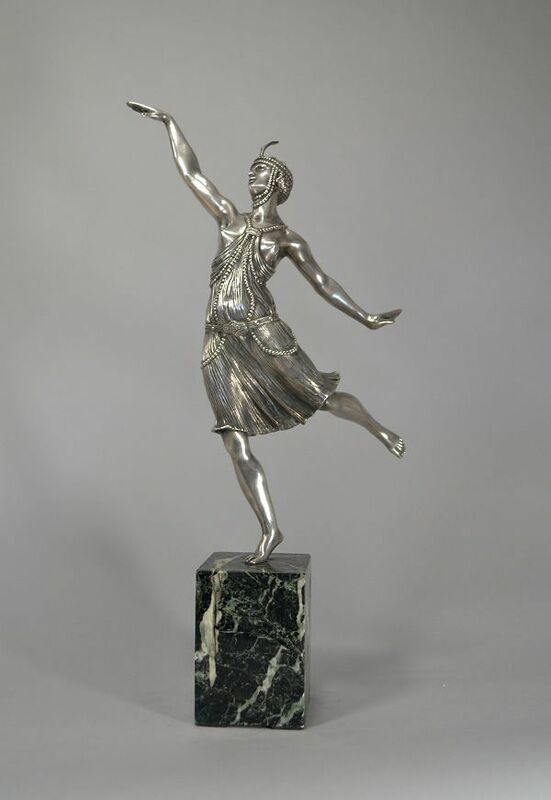 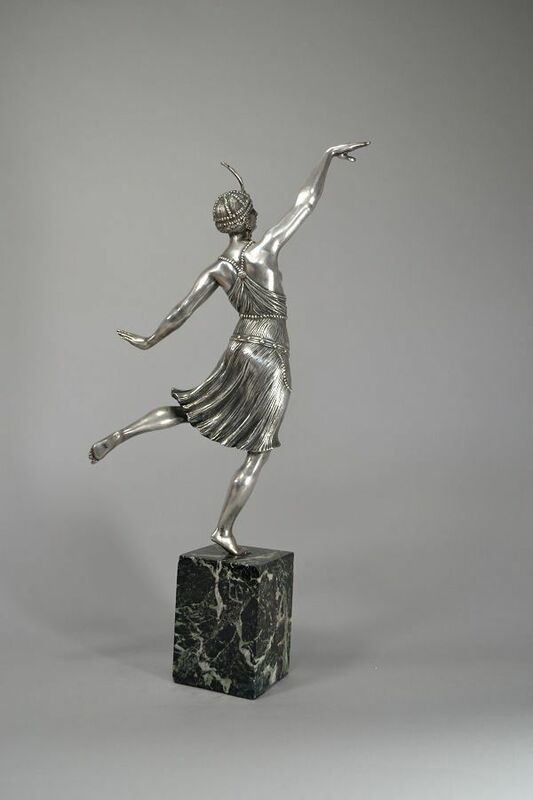 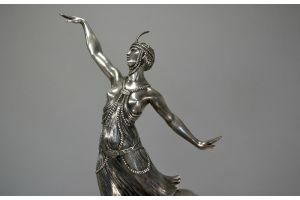 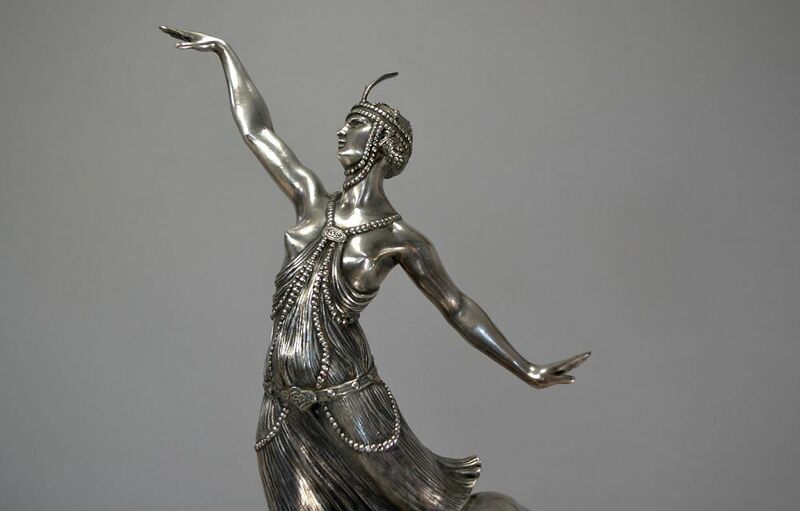 Typically art deco dancer wearing a beaded headdress. 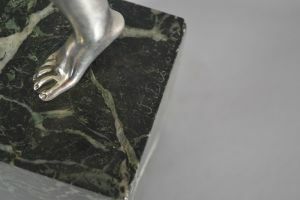 Signed on the marble base. 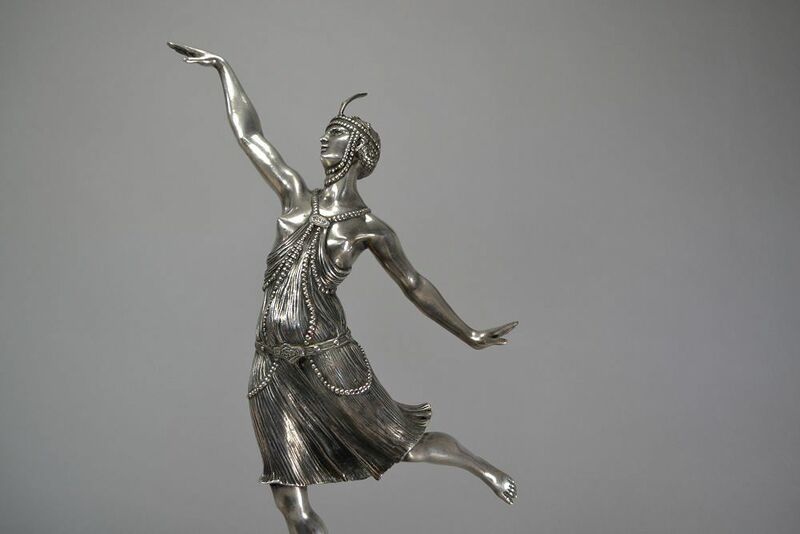 Nice quality of foundry and chasing.